These Cree leather bags are made out of smoked moosehide. Each handmade bag is unique with a different design. See the gallery below for bags in stock. 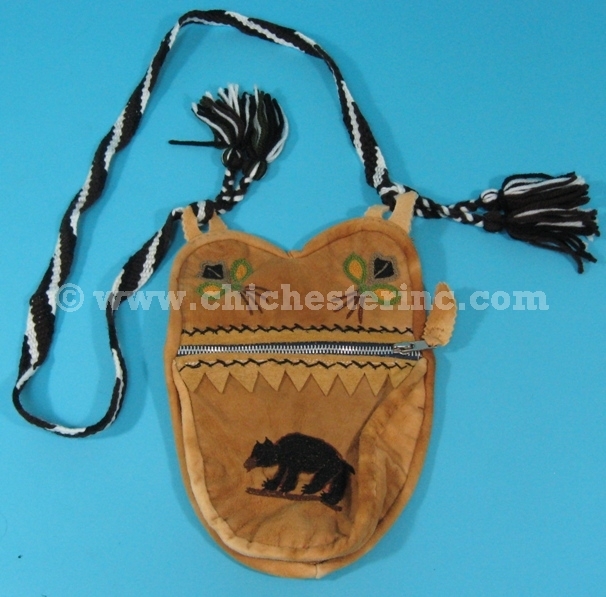 Click HERE for other Native bags and puoches. Click HERE for non-Native leather bags and pouches. Click HERE for fur bags.